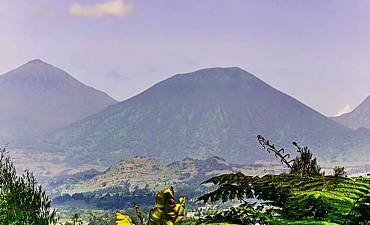 Need Help With Choosing Your Volcanoes Accommodation? 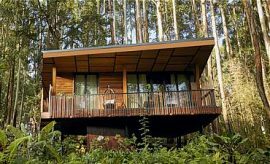 Scroll Down..
Bisate Lodge is an upscale accommodation that offers a spectacular setting in the lush biome of Volcanoes, which forms a natural amphitheater around a reforested area of 24 hectares. 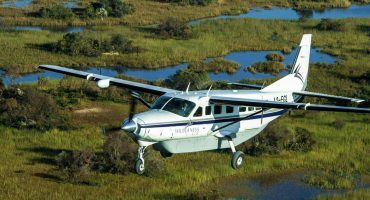 The property is home to an amazing plethora of small indigenous fauna that have moved into the region. Bisate Lodge offers boutique travelers a choice of six traditionally-shaped villas with conical thatched roofs, surrounded by dense foliage woodland near the entrance of Volcanoes National Park. Offering the finest facilities, amenities and services in this part of Rwanda, this new premier lodge is an ideal stopover for ultra-luxurious seeking guests looking to explore the wonders of the region. 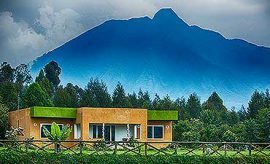 Sprawled over an extensive 17-acres property, Sabyinyo Silverback Lodge is a premier accommodation that offers stunning views of the Virunga volcanic mountains and the lush greenery of sprawling fields and farmlands. 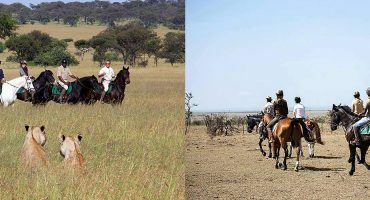 Choose from the lodge’s collection of 9 cottages and suites, located at a good distance from one another to offer all the privacy you need. The cottages, which feature Rwandan terracotta tile roofs, have open patios for relaxing in hammocks and other seating arrangements. You can also opt for the family suite, which includes two bedrooms, each opening onto the shared patio. Hidden away in a forest of eucalyptus trees with distant views of the Virunga Mountains is the luxurious One&Only Gorilla's Nest Lodge. This distinct primate holiday accommodation is comprised of two sections: the main lodge and Jack Hanna Cottage. Guests can choose from the two adjacent Ranch Rooms or the two rooms in Hanna Cottage; a rollaway bed can accommodate a third guest in each room. 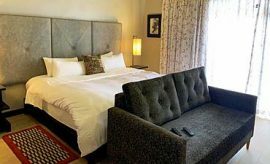 You will love the lodge’s tranquil, yesteryear ambience and its lounge, featuring plush furniture and eclectic Rwandan art. Step outside to relish the beauty of giant hydrangeas and the songs of some of the 178 bird species that make their home in the region. Virunga Lodge offers deluxe accommodations that are ideal for guests looking for superior facilities and amenities, albeit at premium prices. Located atop a ridge, the lodge offers picturesque panoramas of the Bulera (aka Burera) and Ruhondo lakes and the volcanic peaks of Volcanoes Park, while the main lounge is a pleasant place to relax. 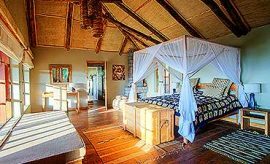 Discerning guests can stay in one of the 10 bandas the lodge provides, including 4 rooms with double beds and 4 rooms with twin beds. Families can opt for one of the 2 Deluxe Suites, which include two bedrooms and a living area. Guests can also enjoy on-site massage services. 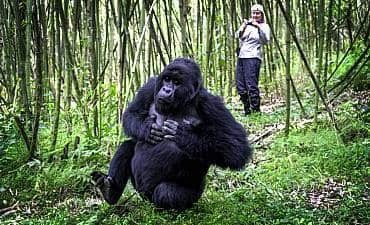 The Five Volcanoes Boutique Hotel serves as the ideal accommodation for guests looking for mid-range facilities and amenities but at affordable prices for their gorilla treks in Volcanoes National Park. As a deluxe hotel, it offers an intimate, personalized experience with just 13 rooms to like-minded travelers including 11 rooms with twin singles or a double bed. Families or friends traveling together can opt for the Family Suite or the VIP Cottage that each have two bedrooms. The VIP Cottage also has a sofa bed where an additional guest can comfortably sleep. 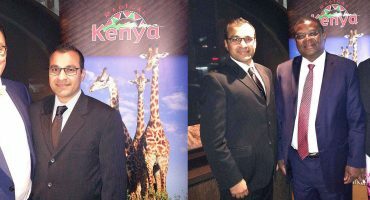 The hotel is also suitable for physically challenged guests. 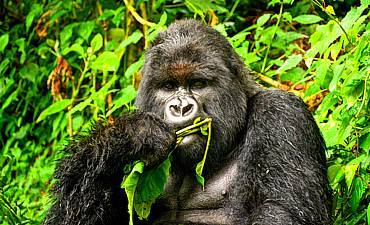 Built of naturally occurring materials such as stone and thatch, Mountain Gorilla View Lodge is a mid-range establishment. It offers adventurous vacationers 30 rooms, located within individual chalets with sweeping views of the Virunga Mountains as a backdrop. Each of the chalets is accessible by way of pathways that crisscross well-landscaped gardens, while natural foliage curtains off your chalet from the others offering privacy. 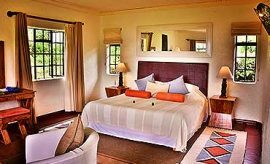 Wicker furniture, a fireplace, area rugs on the stone floors, and authentic Rwandan art add to the unpretentious charm of the rooms. Guests can choose from rooms with double beds or twin beds. True to its name, Le Bambou Gorilla Lodge is adorned with bamboo. Visit the lounge and dining area to admire the woven bamboo ceiling that namesakes the accommodation. 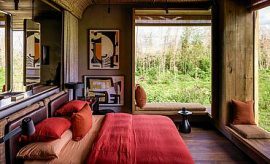 In addition, take note that most of the lodge is built with naturally occurring materials, including furniture and artifacts created out of bamboo. Well-landscaped gardens form the setting for the property, which also offers a mini-library for guests to keep them enlightened. A value accommodation in Kinigi, Le Bambou encompasses 16 rooms in individual cottages. Choose from one of the 13 single, double, or twin rooms. The remaining 3 rooms have a king-sized bed and can sleep a third traveler. 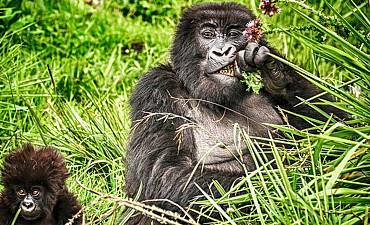 Located at Kinigi, close to the headquarters of Volcanoes National Park, is the homey Villa Gorilla. 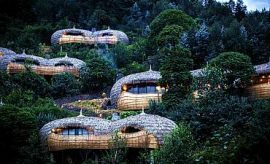 It is comprised of a series of rondavel-style bandas with thatched roofs, decorated in vibrant colors that reflect the resilient spirit of the Rwandan people. The lodge offers 7 rooms: 4 in the main villa, plus 3 garden bungalows for holidaymakers who prefer a separate banda. Enjoy the rustic appeal of the rooms adorned with intricate artifacts and curios. 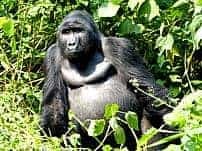 Located in Musanze town, the three-story Gorillas Volcanoes Hotel allows guests to explore the charms of living in a small yet buzzing Rwandan town. A value accommodation, the accommodation has landscaped gardens ablaze with colorful flowers. The property offers 30 rooms in three specifications, including Deluxe Rooms with double beds, Twin Rooms, and Executive Suites that offer guests a separate living room. Each of the rooms comes with its own balcony, where you can relax with views of the distant mountains, pool, or gardens. Guests can also enjoy the free-form swimming pool or get a workout at the fitness center.